Administrative Law Judge (ALJ) Theresa Ravandi, from the Office of Administrative Hearings (OAH), State of California, heard this matter in Arroyo Grande, California, on March 19, 2013. Peter A. Sansom, Attorney at Law, represented the Lucia Mar Unified School District (District). 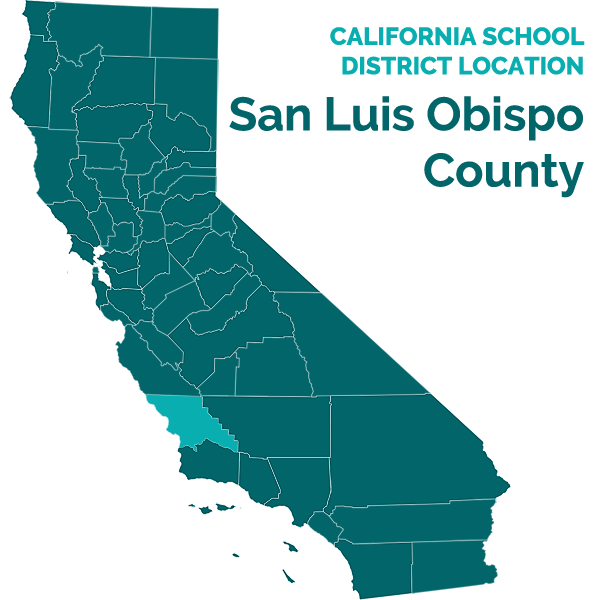 Don Dennison, the District’s Director of Student Services, and Cynthia Ravalin, Principal on special assignment, were present throughout the hearing as the District’s representatives. On January 22, 2013, the District filed a request for a due process hearing (complaint) naming Student. On February 1, 2013, OAH granted Student’s request for a continuance, and the parties’ joint request for continuance on February 14, 2013. At hearing, the ALJ received oral and documentary evidence from the District. The record was closed and the matter submitted for decision on March 19, 2013. Issue One: Does the District have the right to select qualified personnel of its choice to assess Student pursuant to the assessment plan dated December 14, 2012? Issue Two: If Student wishes to receive special education services at public expense, must he reasonably, with the assistance of Parent, make himself available for reassessment by the District pursuant to the assessment plan dated December 14, 2012? The District asserts that it needs to assess Student in several different areas of suspected disability to obtain current information so that it can develop an appropriate individualized education program (IEP) to meet his unique needs, and that it has the right to assess Student with qualified assessors of its choice. The District contends that Student is incorrect in his assertion that Student will respond with fear to a District assessor previously known to him. Even so, the District asserts that its assessors will monitor for this remote possibility and take necessary measures to ensure Student’s wellbeing and the integrity of the assessment, including terminating an assessment and securing an alternate assessor if needed. Student contends that he cannot reasonably be evaluated by District personnel whom he may associate with his past negative experiences of physical restraint and seclusion. Student contends that he will suffer emotional harm that will cause him to regress if evaluated or observed by such personnel, and that any assessment results would be invalid as they would measure his trauma reaction to the assessors, as opposed to his functioning as related to his disability. Student also contends that the District has filed for hearing solely to intimidate Parent into foregoing Student’s rights to special education services. 1. Student is a 10-year-old boy who resides with his Parent within the District boundaries. He last attended a District school, Dana Elementary School, on October 21, 2011, and currently attends a private school. The District found Student eligible for special education as a preschooler during the 2005-2006 school year based upon autistic-like behaviors. Student also qualifies for special education based upon a specific learning disability. 4 As established on the record at the March 11, 2013 prehearing conference, Student does not challenge the need for a reassessment, but rather the personnel qualified to serve as assessors. Specifically, Student challenges the involvement of individuals whom Student would likely negatively associate with his prior experiences of physical restraint and seclusion while attending a District program. 5 Mr. Dennison has held his current position for 21 years and his duties include overseeing the provision of special education services to students including support services. Prior to his current position, he worked as a school psychologist for the District. Mr. Dennison holds an elementary teaching credential and pupil personnel services credential as well as an advance authorization in school psychology. 3. Federal and State special education law calls for the periodic reassessment of a student with a disability at least every three years and not more often than once a year, unless the parent and district agree to a different assessment schedule. 3 When a district requires current information on a student’s functioning or suspects that a student’s needs may have changed, the district can request that a parent consent to an assessment plan. If the parent refuses to consent, the district may file a request for a due process hearing to obtain an order permitting the district to assess the student without parental consent. 4. Student’s last triennial assessment occurred in the fall of 2010. In addition, in February and March of 2011, the District conducted an FAA by Dr. Randall Ball, an independent board certified behavior analyst (BCBA). Even with this assessment information, at the start of the 2011-2012 school year, Student presented with escalated behaviors. On two occasions in October 2011, District staff physically restrained Student as an emergency behavioral intervention due to his physical aggression that presented a risk of harm to himself and others. Following these two incidents, Parent withdrew Student from school on October 21, 2011. The District has had no contact with Student, nor received any updated information regarding him, since then. 6. On December 14, 2012, the District sent Parent a proposed assessment plan and requested that she sign and return it. In its cover letter, the District invited Parent to submit in writing any questions or input she had regarding the assessment plan. The District also enclosed a release of information for Parent to sign so the District could obtain information from Student’s current private school and regional center providers, a health and education update for Parent to complete, and a notice of procedural safeguards. Parent did not respond to any of the District’s requests in this packet. 7. The District continued its attempts to obtain Parental consent to the December 2012 assessment plan. On January 14, 2013, Mr. Dennison sent Parent a letter reminding her of the District’s need to communicate with Student’s current providers and to conduct a reevaluation, which required Parent’s consent to the assessment plan previously provided to her. On February 7, 2013, the District’s attorney sent a letter to Student’s attorney, along with the December 2012 assessment plan, informing her that the District will not revise the plan by removing assessors who had previous contact with Student, and encouraging her to inform the District if she consented to any portion of the assessment plan. At the time of hearing, Parent had not provided consent to any of the proposed assessments. 9. Although Student did not challenge the identified areas of assessment or any particular assessment tool, the District, through the credible testimony of its proposed assessors, established that it planned to utilize assessment tools which are technically sound, non-biased, and likely to yield accurate data in all suspected areas of disability. The evidence showed that the District would use a variety of assessment measures including records review, interviews, administration of standardized test instruments including rating scales, and observation of Student. The persuasive testimony of the District’s witnesses established that direct observation of Student throughout his school day would yield valuable information as to Student’s true functioning, practical abilities and needs which they would correlate to results obtained from standardized testing. The evidence further showed that each assessor is experienced in conducting school observations, aware of the need to be unobtrusive and able to ensure this, and planned to interview teachers and staff to verify that what they observed was typical for Student as opposed to a reaction to their presence. 10. Accordingly, the District met its burden of proof that the proposed assessments are warranted, that the District complied with all procedural and substantive requirements in the development of the assessment plan and the provision of notice and procedural safeguards, and made reasonable attempts to obtain Parental consent. 11. The District provided Student with the names and titles of the specific assessors it selected for each assessment. Mr. Dennison established that each District assessor was selected due to his or her assignment to Student’s school of residence and last school of attendance. These individuals are the professionals who would work with Student should he return to the District. The assessment team is currently comprised of the following professionals: Dr. Ball; Jacqueline Williams, a District ABS; Christina Johnson, a District school psychologist; Lynette Roberts, a District special education teacher; Christina Canales, a District speech and language pathologist; and Lisa Arakaki, an occupational therapist with the San Luis Obispo County Office of Education. Each proposed assessor testified at hearing as to his or her specific qualifications and experience in working with and evaluating students with autism, administering specific measurement tools, and interpreting assessment results. 12. The District proposed that Dr. Ball complete a new FAA. Since 1978, Dr. Ball has worked with children with autism in the area of behavior. In addition to being a BCBA, he is a licensed marriage and family therapist. He earned a doctorate of education in counseling and educational psychology from the University of San Francisco in 1988. For over 11 years he served as a behavior analyst with Tri-County Regional Center. Dr. Ball has been in private practice since 1990, specializing in evaluating children and adults with psychological and developmental disabilities and has conducted independent behavior assessments and psycho-educational evaluations of students since 1998. 13. The District intends to have Christina Johnson, a school psychologist with the District since August of 2010, assess Student in the area of social/adaptive behavior. As a school psychologist, Ms. Johnson routinely assesses students in this area. She previously served as an ABS with the District for two years, worked as an instructional aide at a nonpublic school, and provided in-home behavioral therapy for autistic children through the Lovaas Instructional Institute. Ms. Johnson earned a bachelor’s of science degree in psychology in 2003, and a master’s degree in counseling in 2008 along with a pupil personnel services credential in school psychology from the California State University at Northridge. Ms. Johnson credibly established that she is qualified to assess Student and would utilize the following tools which she is trained to administer and interpret and has experience using: the Childhood Autism Rating Scale, the Gilliam Autism Rating Scale and the Behavioral Assessment Scales for Children, as well as some projective tests for Student. 6 ABA is the methodology used by the District to work with autistic students. 14. The District selected Jacqueline Williams to assess Student’s social and behavioral needs in conjunction with the school psychologist and in collaboration with Dr. Ball. As a District ABS since August of 2009, Ms. Williams observes and assesses students with autism, devises educational programs and reinforcement schedules based upon Applied Behavior Analysis (ABA) and trains and supervises staff in delivering these programs. 6 Prior to her current position, she worked for two years as an instructional assistant with the District and then as a clinician at the Koegel Autism Center. In 2009, she earned a master’s degree in education from the University of California at Santa Barbara and holds a moderate to severe special education teaching credential. She is completing her second masters in administration and leadership, and will graduate in July 2013 with an administrative services credential. Ms. Williams is currently working on her certifications as a behavior analyst and a behavior intervention case manager. Her testimony and that of Dr. Ball’s persuasively established that she is qualified to conduct a behavioral observation as part of Student’s reassessment. 15. To determine Student’s current academic abilities, the District plans to have Lynette Roberts, a special education teacher for 24 years, the past 15 years with the District, administer the Woodcock Johnson III, Battery of Achievement (WJ-III). Ms. Roberts holds a learning handicapped and a multiple subject teaching credential. She also has an autism authorization certificate and has experience teaching and evaluating autistic students in the area of academics. She has administered the WJ-III many times, and is trained in the administration and interpretation of this tool. 16. To determine Student’s current communication needs, the District selected Christina Canales, a licensed speech and language pathologist, to assess Student. Ms. Canales has worked as a contracted speech and language pathologist for the District since 2010, the year she obtained her license. She earned a bachelor of arts in 2007 and a master’s degree in 2009, both in communication disorders and deaf studies from the California State University, Fresno. Ms. Canales holds a certificate of clinical competence, which authorizes her to provide speech services in a medical setting and a speech language pathology services credential, which authorizes her to provide services in a public school setting. She has experience providing language services to autistic children and assessing them in the area of communication. Given Student’s deficits in expressive and receptive language, pragmatic skills and articulation, Ms. Canales identified three test instruments that she would utilize: the Clinical Evaluation of Language Fundamentals IV, the Test of Problem Solving, and the Goldman Fristoe Test of Articulation. Ms. Canales credibly established that she is qualified to administer and interpret these instruments, based upon her education, training and experience, and is familiar with these tools. 17. The District plans to have Lisa Arakaki, Student’s prior occupational therapist, assess his occupational therapy needs. Ms. Arakaki received her state license as an occupational therapist in 2002 and has worked in this capacity with the San Louis Obispo County Office of Education since October 2009. She provides direct and consultation services to students and provides occupational therapy evaluations. Prior to her current employment, she worked for six years at Bright Start Early Intervention Program, a vendor through the Tri-Counties Regional Center, where she provided occupational therapy to children with autism. Ms. Arakaki earned a master of arts degree in child development from the California State University, Los Angeles in 1990 and a bachelor’s of science in occupational therapy in 1984. Based upon her prior assessment of Student in November of 2010, and her work with him, she identified the Wide Range Assessment of Visual Motor Abilities and the Sensory Profile School Companion as two instruments she intends to use as part of her assessment. Her testimony established that she has utilized these tools many times and is qualified to administer each and interpret the results. 18. The evidence showed that each proposed assessor holds the necessary licenses or credentials, or is otherwise qualified by way of experience and training, to assess and observe Student in his or her respective field of expertise and competent to administer identified test instruments and interpret the results. The District’s proposed assessors verified that they would utilize appropriate, validated, non-discriminatory test instruments relevant to assessing Student in all suspected areas of disability. The District established that the proposed assessments will be conducted by qualified personnel. Therefore, the District may conduct a reassessment of Student pursuant to the December 14, 2012 assessment plan without Parent’s consent. 19. Prior to hearing, Student raised a defense to the District’s right to use qualified assessors of its choice. Student alleges that he suffered emotional and physical trauma at the hands of District personnel during their practice of physical restraint and seclusion, and that the involvement of these individuals as assessors, or those he would negatively associate with them, would cause him current emotional harm. However, Parent and Student’s counsel both declined to attend the hearing and, therefore, Student did not put on any evidence. Based upon Student’s failure to present evidence of his defense at hearing, this Decision does not make any factual findings that Student suffered emotional trauma from his past contacts with District personnel, or that current assessments and observations of Student by District personnel previously known to him, or those whom he may associate with negative experiences, would result in current harm, trauma, or regression. Accordingly, Student’s defense fails. 20. The evidence at hearing established that three proposed assessors, Ms. Arakaki, Dr. Ball, and Ms. Williams, have previously observed or worked with Student. The three remaining assessors have never met Student nor had any involvement with him. Ms. Arakaki provided occupational therapy to Student for two school years. She was not involved in any physical restraints of Student, found him to be cooperative during her sessions, and described their relationship as positive. She was convincing that it was unlikely that Student would react negatively to her. Dr. Ball conducted several hours of observation of Student over four days during his FAA in early 2011, and also observed Student from a distance on a fifth occasion in October of 2011, during a behavioral escalation. He was never introduced to Student and had limited exposure to him during his observations. Dr. Ball credibly testified that Student does not know him and likely would not recognize him. Therefore, it is not reasonably likely that Student would react negatively to his presence. 7 Several witnesses also testified about Student’s strong, positive relationship with his instructional assistant Brenda Parker, who worked with him for two school years. The District’s witnesses credibly established that even though Ms. Parker physically restrained Student on more than one occasion, he did not fear her, continued to see her as his helper and positive re-enforcer, and she was able to effectively support Student. 21. Lastly, Ms. Williams met with Student three to four times weekly and spent a minimum of 24 hours each month with him as his ABS for the 2009-2010, 2010-2011 and start of the 2011-2012 school years. Ms. Williams physically restrained Student on two occasions at the start of the 2011-2012 school year, including his last day of attendance on October 21, 2011. The testimony of several witnesses established that Student never displayed a negative reaction to Ms. Williams over the years. He was always happy to see her, had a good rapport with her, and did not appear fearful of her even after she first restrained him. 7 The second restraint ended with a police officer handcuffing Student, and Ms. Williams last saw him crying as he left campus with his Parent. Ms. Williams’ testimony, as corroborated by other witnesses, credibly established that based upon her direct work with Student, extending over two school years, they formed a positive relationship such that it was unlikely Student would react negatively to her. 22. Dr. Ball and Ms. Johnson persuasively established that just because a staff member restrained a student, it does not necessarily follow that the student would be afraid of that individual. Dr. Ball has needed to physically restrain many children over his career, and was still able to successfully maintain a good relationship with them. He was persuasive that most children are resilient and bounce back from a physical restraint employed as an emergency behavioral intervention. Ms. Johnson testified clearly and persuasively that there are times school personnel need to restrain students for safety reasons, but they are able to continue to serve and effectively work with these same students in their daily programs after a crisis intervention. 23. Each assessor convincingly established that it is not reasonably likely that Student would react negatively to him or her or display fear. Even so, the District proved that its assessors are skilled at reading students’ emotional states and mental wellbeing and are prepared to take appropriate measures to monitor Student for anxiety or fear. The evidence showed that the proposed assessors are experienced in establishing rapport with students and placing them at ease to conduct a thorough assessment, and are familiar with using reinforcement systems to assist a child with autism to engage in the assessment process. Although the assessment team was confident in its ability to effectively evaluate Student, the proposed assessors convincingly testified that they would terminate their assessments if Student was fearful or otherwise exhibited reactive behaviors in relation to them, and assign an alternate assessor. Based upon the evidence, the District selected qualified assessors of its choice to assess Student pursuant to the December 14, 2012 assessment plan. 24. Prior to hearing, Student contended that as a result of his alleged prior emotional trauma from the District’s behavior intervention practices, the involvement of any personnel as assessors, whom Student may associate with his prior alleged trauma, would yield an invalid result by measuring his trauma reaction rather than his functioning as related to his disability. Again, Student did not introduce any evidence in support of this contention. 25. Student also contended, but the evidence did not establish, that the District filed a request for a due process hearing solely to harass Parent and force her to forego Student’s rights to special education services. On the contrary, the District established that Parent has not waived Student’s rights to special education, that Student’s prior annual IEP has expired, and that the District requires current assessments to develop an appropriate IEP for Student. Further, the evidence showed that the District tried unsuccessfully to obtain Parental consent to its assessment plan beginning in December 2012. Accordingly, Student’s claims fail. 1. Under Schaffer v. Weast (2005) 546 U.S. 49, 58 [126 S.Ct. 528, 163 L.Ed.2d 387 (Schaffer)], the party who filed the request for due process has the burden of persuasion at the due process hearing. In this case, the District filed for a due process hearing and therefore bears the burden of persuasion as to all issues. 8 All subsequent references to the Code of Federal Regulations are to the 2006 version. Determination of Issue One: Does the District have the right to select qualified personnel of its choice to assess Student pursuant to the assessment plan dated December 14, 2012? 12. Based on Factual Findings 1-5 and 10, and Legal Conclusions 1-3 and 8, the District demonstrated that Student’s educational and related services needs warrant a reevaluation, as proposed by the District in its December 2012 assessment plan. Based upon Factual Findings 6-9 and Legal Conclusions 4-6, the District’s assessment plan was detailed, understandable and met all legal requirements. The District provided Parent with proper notice of its proposed assessment plan and advised her of her rights. As shown in Factual Findings 6-7, 10 and 25, and Legal Conclusions 6-7, the District took reasonable measures to obtain Parent’s consent to its assessment plan without success. 13. Pursuant to Factual Findings 11-25 and Legal Conclusions 4-5 and 9, the District established that it has qualified personnel knowledgeable about autism available to conduct each assessment, and who are trained and experienced in administration and interpretation of the identified testing tools. Each assessor discussed plans to use a variety of measures including interview, record review, observation and the administration of standardized testing and has experience conducting assessments including observation. As established by Legal Conclusions 10-11, the District has the right to select personnel of its choice to conduct a reassessment of Student. Therefore, the District established it may select qualified personnel of its choice to assess Student pursuant to its December 14, 2012 assessment plan. Determination of Issue Two: If Student wishes to receive special education services at public expense, must he reasonably, with the assistance of Parent, make himself available for reassessment by the District pursuant to the assessment plan dated December 14, 2012? 9 To defeat the District’s right to use qualified assessors of its choice, Student bore the burden to prove his claim that District assessors would put him at risk of harm. (P.S. v. Brookfield Board of Education (D. Conn. 2005) 353 F. Supp.2d 306, 315, affd. (2nd Cir. 2006) 186 Fed.Appx. 79, 2006 WL 1788293 [nonpub. opn.].) This Decision does not find that there is a legal exception to the District’s right to reassess Student based upon a claim of emotional harm. Student produced no evidence upon which to entertain the viability of his claim. 14. Pursuant to Factual Findings 19-23, Student produced no evidence that he would be harmed if he were evaluated by District personnel and, therefore, Student did not meet his burden of proof to defeat the District’s right to select qualified assessors of its choice. 9 As established by Factual Finding 25 and Legal Conclusions 10-11, if Student wishes to receive special education services from the District, he must reasonably comply with the District’s reassessment pursuant to the December 14, 2012 assessment plan. The District is entitled to reassess Student in accordance with its December 14, 2012 assessment plan with qualified assessors of its choice. The District shall notify Parent in writing of the date(s) of the reassessment of Student at least 15 calendar days before the reassessment begins. The District’s FAA shall comply with the requirements of the California Code of Regulations, title 5, section 3052. If Student’s Parent wishes to have Student receive special education services from the District at public expense, Parent shall make Student reasonably available for the reassessment in accordance with the December 14, 2012 assessment plan. Education Code section 56507, subdivision (d), requires this decision to indicate the extent to which each party prevailed on each issue heard and decided. The District prevailed on both issues.